....although I have serious misgivings about Jon Ronson. 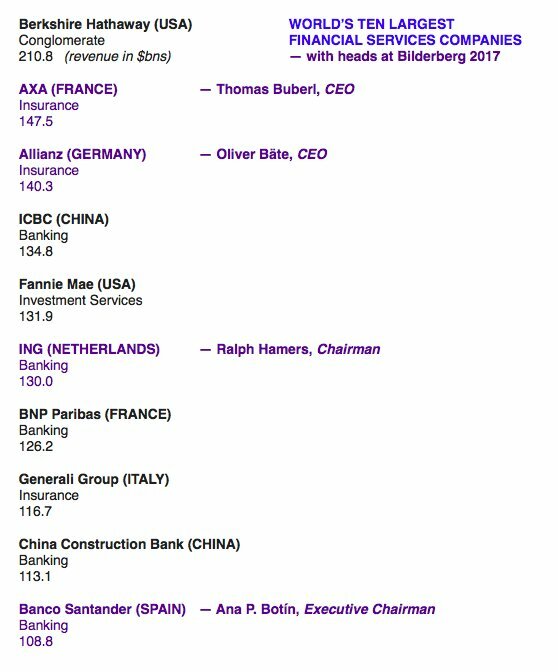 "The invitation list for this year’s conference is a veritable covfefe of big-hitters from geopolitics, from the head of the IMF, Christine Lagarde, to the king of Holland, but perhaps the most significant name on the list is Cui Tiankai, China’s ambassador to the US. 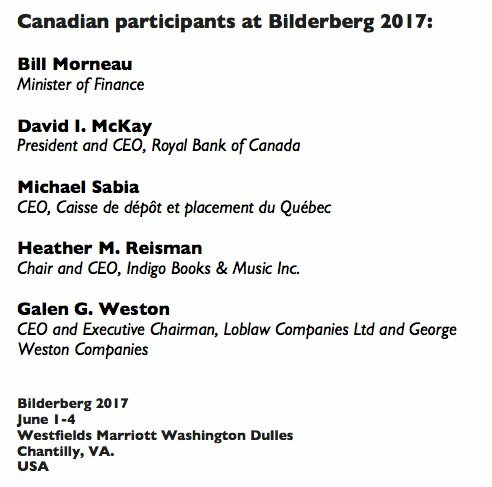 All this is the kind of thing that should be headline news, but with the president of Turner International attending, we can be fairly sure Bilderberg won’t make many ripples at CNN. 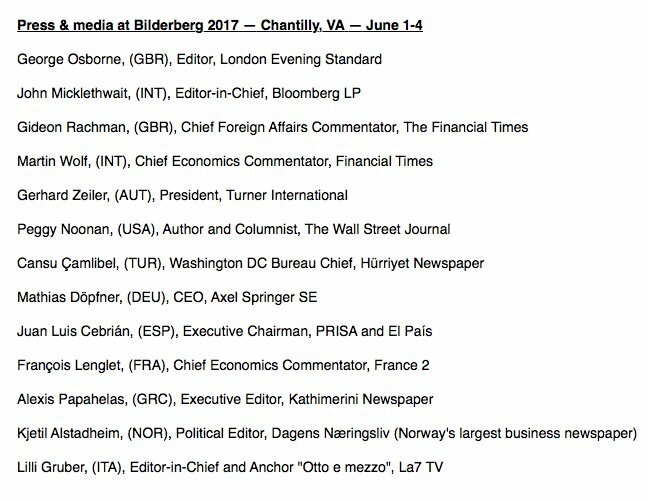 And British readers should not expect much coverage at the London Evening Standard either: their new editor and longtime Bilderberg attendee Gideon is on the list, despite a general election looming in a week’s time. You could of course complain about a lack of press coverage of Bilderberg in the UK, but with the head of the media watchdog Ofcom at the conference, you may not get an immediate reply." Not many muslims in that list. Henry Kissinger on the list! Number seven: the war on information. They are coming for us. 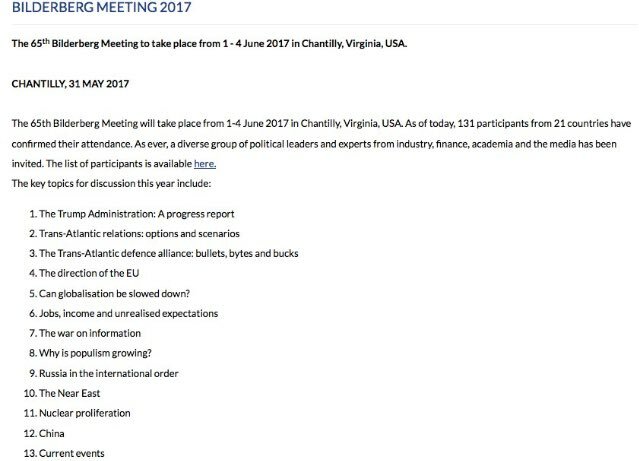 LOL to see "the war on information" on Bilderberg's agenda. That's pretty much what they've been waging for 60 yrs!!!!! George Soros not in attendance I see. Unless he's watching on a webcam. I dare say he will be keeping an eye on things. I am sure he will be respresented. Spunko is on the list. 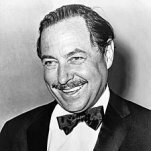 He just doesn't go by that name in polite society. 13 topics. Not superstitious, at least! Because there are actually 14. The title of the last one is "How to eliminate the useless eaters once the robots can serve us." Something has come up, I have sent the Pin as a stand-in at the last minute. Don't worry I will save the world with a devious financial product, and suggest war between Jersey and Guernsey. Is that Peter Stringfellow's love child? The Economist. The bankers mouthpiece. Still has some good articles (good one a few weeks back on the uk housing market and green belts) but it refuses to adapt it's bankers dogma to real life in general. I thought Julian Assange had dyed his grey out. I mean Gidiots going. Whats he going to talk about - towel folding? They'll go there, eat shrimp and come home with the conclusion - We're fucked, noone knows anything about anything. "Bilderberg: the world’s most secretive conference is as out of touch as ever"